Following months of discussion and review, the State’s Group Insurance Commission (GIC) is expected to decide on insurance carriers and health plan benefits design early in 2018. 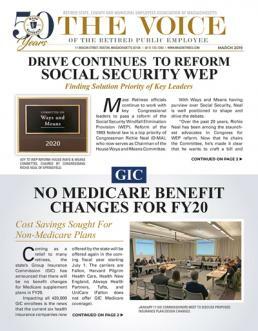 The pending decisions by the GIC come at a time of growing concern regarding the ability of retirees and employees to afford escalating costs. As previously reported by Mass Retirees, all current GIC health insurance plans, prescription drug managers and mental health vendors are now up for renewal, with current contracts expiring on June 30, 2018. In early fall, the GIC began to review formal proposals from insurance carriers, pharmacy managers and mental health providers that commence with the start of FY19 on July 1. In the months leading up to the GIC’s RFP process, the Commission hired a new insurance consultant, Willis Towers Watson, to advise during the procurement process. Headquartered in London, WTW is one of the largest consulting firms in the world, with more than 40,000 employees spread across the globe. The seventeen-member Commission is expected to vote to retain a single pharmacy benefits manager (PBM) at their meeting in late December (after we went to press). Selecting a single pharmacy vendor to serve all health plans is a departure from past practice and is designed to utilize the huge buying power of the GIC to help control prescription drug costs. In a welcome move, GIC Executive Director Dr. Roberta Herman announced that the GIC will hold a series of public meetings across Massachusetts in January – set to take place before the Commission votes on plan design and contribution rates. Given the times in which we live, most retirees reluctantly expect to see their healthcare costs gradually rise over time. However, the dramatic upswing in out-of-pocket costs from FY16 through FY18 for GIC enrollees is tough for many members to take. This is especially true for retirees over the age of 65, who are not eligible for Medicare. According to the GIC, some 33,000 retirees are not eligible for Medicare and therefore are enrolled in the traditional non-Medicare plans along with active employees. Sadly, these retirees face the same sharp rise in out-of-pocket costs in recent years as have the active employees. Retirees enrolled in Medicare have relatively lower out-of-pocket costs than those retirees enrolled in non-Medicare plans. This is because Medicare is a federal program, with 75% of costs paid for through the federal Medicare trust fund and governed by federal law. Compounding the issue, as well as member frustration, is the fact that the GIC has not released its Annual Out-of-Pocket cost report since FY15. Therefore, the last official report dates back prior to the start of the current cost increase trend in FY16. GIC officials point to data processing problems between health plans and 3rd party vendors as the cause of the delay. However, concerns from Mass Retirees and union officials continue to grow as the GIC enters into a new decision-making timeframe without proper cost data publicly known. “The common complaint from members is that health insurance costs have become unaffordable. This is especially true for our non-Medicare members, who are now facing a $500 annual deductible and another $100 pharmaceutical deductible under the GIC. This is on top of monthly insurance premiums, as well as routine copayments,” explains President Frank Valeri. “If you have to frequently visit the doctor or need to take lots of prescription drugs, the costs add up very quickly. Prior to 1986, public employees in Massachusetts (and other non-Social Security states) did not contribute to Medicare. This changed for anyone entering public service after March 31, 1986 when mandatory contributions to Medicare began. In response to the rising concern over affordability – a point frequently stressed by GIC Retiree Commissioner and Vice Chair Anne Paulsen – a special Subcommittee on Affordability has been created by Dr. Herman and Commission Chairwoman Valerie Sullivan. The subcommittee will seek input from groups, like Mass Retirees, as well as demographic information from state, teacher, and local retirement officials to examine the issue of affordability. In addition, Association officials continue to press the GIC to quickly resolve its data analysis problems and release the latest report on out-of-pocket costs prior to the public hearings taking place in January.